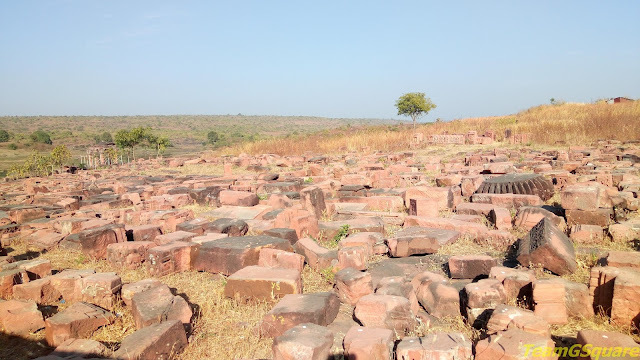 Ashapuri is one of the best kept secrets of Madhya Pradesh. Being very close to the capital city of Bhopal and located between two of the most prominent tourist places of Bhimbetka and Bhojpur, this place is hardly visited by tourists. We too were unaware of this place until a board at Midway Retreat in Bhimbetka displayed it. A quick research about the same on google helped us gather more information. We were more than happy to visit this place as it was located on the way to our next destination of Bhojpur. 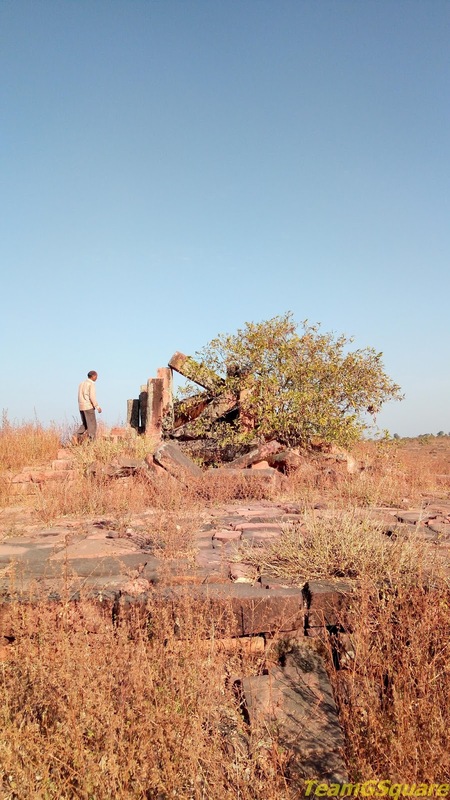 The sign board put up by Madhya Pradesh Tourism made it easier for us to reach this place, which is located about 22 km from Bhimbetka towards Bhojpur. 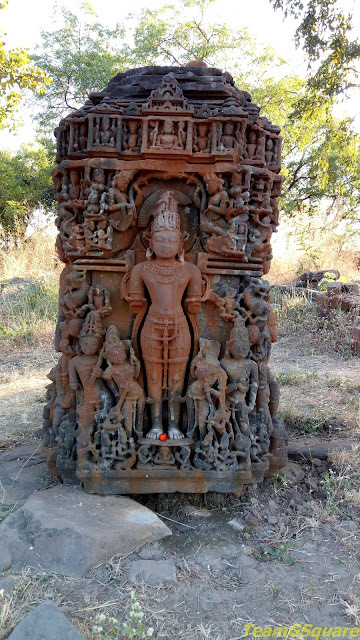 Ashapuri was the temple laboratory of the Pratihara and Paramara clans during 9th century AD. The numerous temples that are now in ruins bear a testimony to this. As we entered the Bhootnath temple complex, the care taker walked down the steps towards us with the visitors book in hand. After gathering details from us, he doubled up as our guide. As we maneuvered through the ruins, we stumbled upon the main temple complex of Bhootnath, built on the banks of a lake. The complex houses 26 uniquely styled temples of varying proportions. The locals are bound to the belief that this place was razed to dust by Mughals and hence is in ruins. The site is well maintained by the ASI and temples are systematically numbered from 1 to 26. 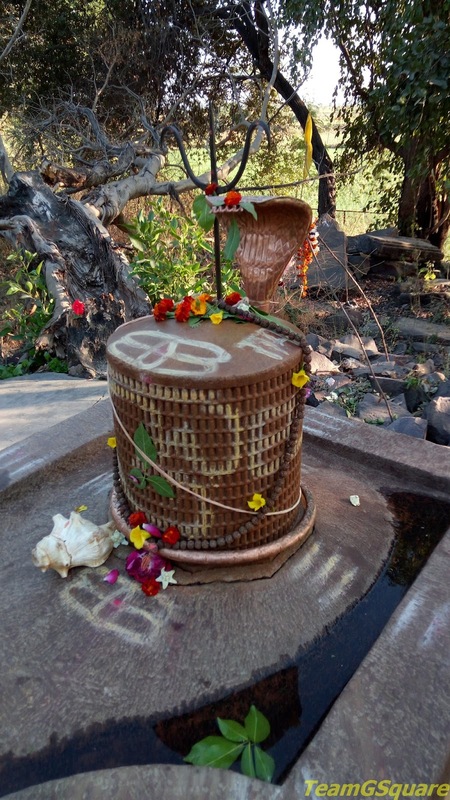 Temple number 5 is the main temple of this complex and is dedicated to Bhootnath (Lord Shiva). 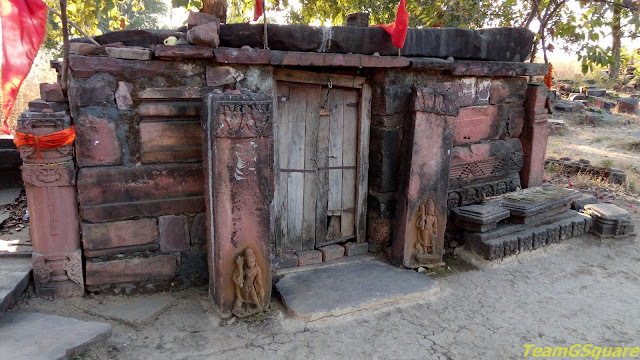 The remains of this temple speaks volumes about the art and architecture of Pratiharas, who contributed majorly towards the temple construction. 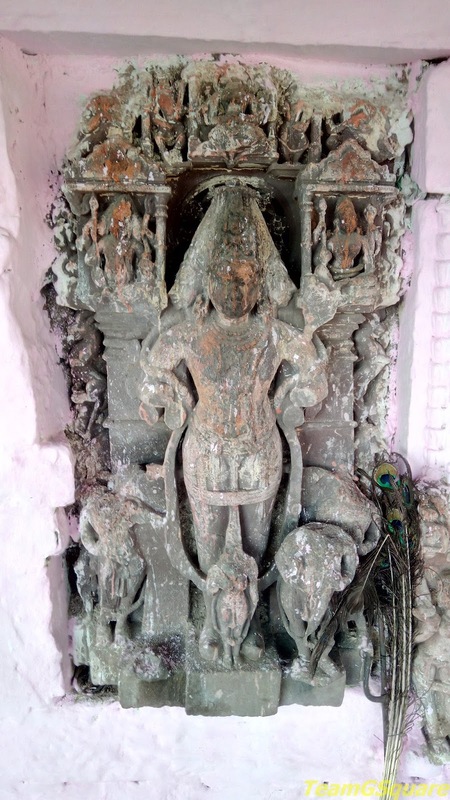 A large number of idols and other segments of the temples, most of which are partially damaged are kept spread wide across the temple complex, while many others are displayed at the museum nearby. Our guide also mentioned about the presence of another temple dedicated to Goddess Durga at a fair distance (about 400 meters) from the Bhootnath complex. This temple too lies in a ruined state with fragments of idols spread across the temple. 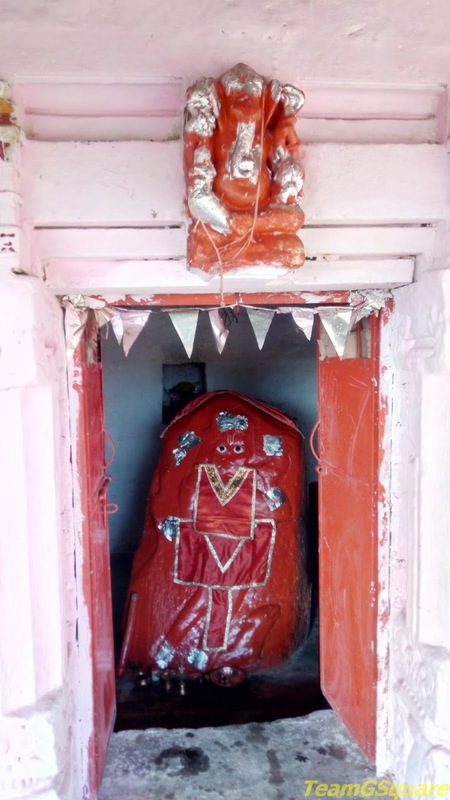 Just outside the Bhootnath temple complex is a temple dedicated to Lord Hanuman. Hereon, we drove towards the museum during lunch time and realised it was closed. We inquired about directions to another temple dedicated to Lord Shiva, the Billota temple at the entrance of the village. Unfortunately, this temple too was closed. A big Shiva linga is seen outside the temple with many small lingas carved on it, called as the Sahasralinga. 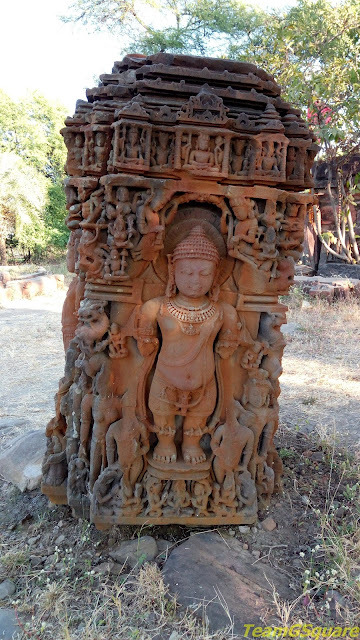 A beautifully carved but broken pillar base is also seen in this complex, with a carving that exhibits the various avatars of Lord Vishnu. Thus ended our exploration. It is good to know that a joint effort has been initiated by Madhya Pradesh Government in collaboration with the World Monuments Fund towards restoring Ashapuri back to its glory. Distance from the nearby town: 36 km from Bhopal. Accommodation: There are no accommodation options here. The best would be to plan for an overnight stay at Bhopal. Where to eat: The nearest eateries are about 6 km from here, at Bhojpur. Thank you for sharing. This is a wonderful find. Beautiful images of India, love this. Madhya Pradesh does seem to take a keen interest in their history. Thank you for sharing about Ashapuri, exploring such hidden gems and sharing about it inspires others to visit this place. Hope this place gets resorted back to its glory soon and we get a glimpse of its glory in the past.. Very interesting place. I am glad you brought this to our notice.